Mensusa https://www.mensusa.com/articles/gold-vest-and-tie-to-appear-classy-and-stylish.html Gold Vest And Tie- A Dressing Approach To Appear Classy And Stylish The gold vest and tie combination is a highly comfortable and sleek replacement of the typical coat-and-tie dressing approach. Is it inevitable that you have to depend on the usual suit-and-tie approach to get a sophisticated and elegant dressing? Absolutely not. The wonderful works of the fashion designer has introduced several new approaches of dressing, that are more sleek in its appearance and is completely different from the traditional dressing style. The Pairing between the vest and the tie can give you a wonderful appearance and if that is true, the pairing between the gold vest and tie is truly a unique way to appear fashionable. The gold vest and tie combination enable you to keep equilibrium between the classic and modern dressing orientations. The vest is classically an inevitable component of the 3-piece suits, that is an iconic choice for the formal occasions. Now, the style of pairing between the vest and the tie, being a trendy approach of dressing, you can exactly avail the virtues of the classic and contemporary approaches. Thus, it is obvious that the combination will give you the look of a fashion concerned as well as a classy and elegant man. 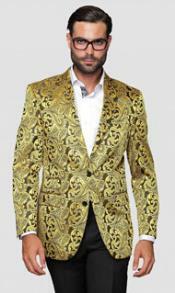 Why to opt for the combination for the gold waistcoat and tie? The best reason to pair the vest and the tie, is to ensure the aspect of comfort. 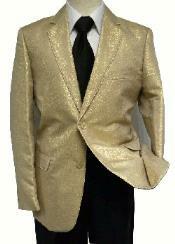 Besides, the combination of the gold vest and tie enable you to overcome the usual coat-and-tie combination. It is a fact that the usual 3-piece suits turns bit uncomfortable during the hotter months and in various ambiances, the conventional three piece suit may seem to be overly formal. The combination of the vest and tie, enable you to overcome both these aspects in a single solution. Thus, the vest and tie combination is indeed a smart approach to appear high-fashioned yet sophisticated. The combination between the gold shaded vests and the tie is a delightful option for the formal ambiances and the special occasions. Be assured, that the combination will get you to the notice of the people around you. The golden shade reflects such glow that it impresses the eyes of the crowd and hence, you are on the way to get sincere appreciation for your fine dressing sense. Selecting this combination, you will obviously appear as a man with classy choices and the high fashion statement that the attire will speak, is enough to win over the hearts. The benefit of choosing the golden vest is that you will be able to pair the waistcoat with the widest options of trousers and fashion accessories, appropriately. Thus, the said combination is the smartest approach to get the most fashionable appearance for the formal occasions and the special events. www.mensusa.com offers high fashioned attires and accessories for men at an unbelievable price, that enable the stylish men to grow fashionable in an economical way.